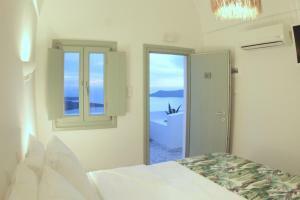 The Agave is located in the picturesque village of Imerovigli and overlooks the Aegean Sea and the caldera. Fira, the lively capital of the island, is about 3 minutes by car or 15 minutes walk from the establishment. This double room has a partial sea view and offers a balcony and air conditioning.